Asian Food Channel (AFC), in collaboration with the Hong Kong Tourism Board (HKTB), held a food event at Tin Hau restaurant in Mandarin Oriental Hotel in Makati City last August 25, 2009. Chef gurus Maria Cordero and Bruce Lim gave us a taste of their sumptuous Chinese delicacies for our lunch. This event celebrates Hong Kong Food & Wine Year throughout Asia and an on-screen campaign is being done across Singapore, Malaysia and the Philippines. It has been a tradition in our family to celebrate occasions in a fine dining restaurant serving Chinese cuisines. Chinese organizations and associations hold a number of get-togethers in a setting like this every year. As a Chinese-Filipino, I really enjoy feasting on Chinese cuisines and relish every moment of it. 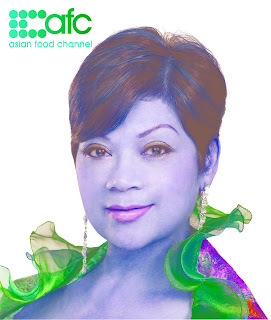 Aside from being a chef, Maria Cordero is also a well-known singer and actress. Maria, also known as "Fat Mama," was born in Macau and currently residing in Hong Kong. She launched her career in food when she came out with her first cookbook, "Maria's Kitchen Easy Cooking" Series One, Volumes 1-4 in 2002. Since then, she has continued to publish more cookbooks that cover, not only about cooking, but also on healthy eating and weight loss. She was already featured on several food programs on TV including her own show, "Maria's Private Kitchen." Bruce Lim is a Filipino-Chinese who was born and raised in America but has come back to the Philippines to trace his roots and get culinary inspiration from native Filipino cuisine. Bruce took up Superior Level of Cuisine and Pastry at Le Cordon Bleu in London. He has also been Hygiene Certified (1997) and ServSafe Certified (2006) in London and California, respectively. 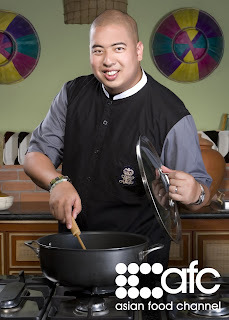 He co-hosts the cooking lifestyle show, Tablescapes, with TV host and actress, Angel Aquino. Tablescapes on Studio 23 brings Bruce to many different places in the Philippines to discover and create more recipes and share to the Filipino audience.